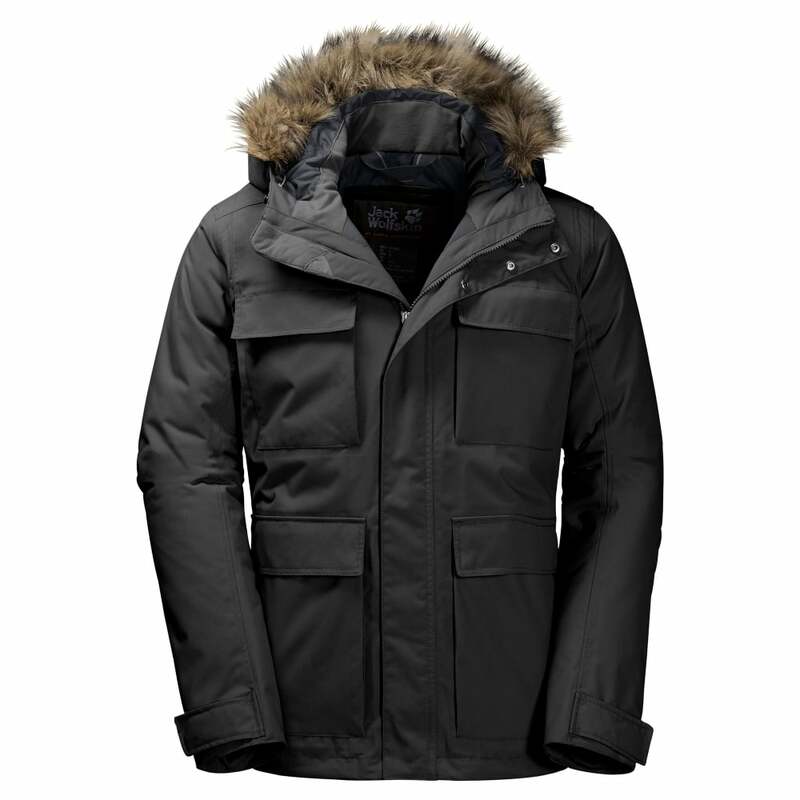 The Jack Wolfskin Mens Point Barrow Jacket is a waterproof and breathable insulating parka style jacket filled with warm Microguard insulation and features a large selection of pockets. The outer of the jacket is waterproof, windproof and breathable Texapore Oxford 2L fabric, a robust weatherproof fabric that will keep you dry and comfortable in all weathers. 200g/m2 of Microguard synthetic insulation inside the jacket traps your body warmth, making it an ideal choice for enhanced weather protection when the temperature drops and the wind picks up. Features of the Point Barrow jacket include an attached adjustable hood with removable faux fur trim, 4 hips pockets, 2 chest pockets, an inner pocket and internal cuffs for enhanced heat retention and comfort. Texapore 2L is a 2 layer waterproof, windproof and breathable membrane fabric from Jack Wolfskin. The Texapore membrane is combined with an outer face fabric to provide durability and further weather protection.